Home› Blog› Tech › What’s the Difference between NGINX Open Source and NGINX Plus? What’s the Difference between NGINX Open Source and NGINX Plus? Editor – To see a detailed breakdown of what features are included in NGINX Open Source vs. NGINX Plus, please see this feature matrix. With today’s release of open source NGINX version 1.7.1, it seemed a great moment to explain the differences between our open source (F/OSS) and commercial products. Both products are built by our core engineering team in Moscow, and open source NGINX also benefits from huge community involvement. We issue feature releases at a rate of about one per month, and there are over 100 third‑party modules you can compile into the NGINX product, of varying degrees of maturity and compatibility with current releases. We’re determined to continue to grow the market share of NGINX by building the best possible web server platform. The direction of NGINX is very much driven by our end users; SPDY/3.1 is a good illustration of this, as is the inclusion of syslog capabilities in today’s release of 1.7.1. We regularly include community contributions to NGINX, though it often takes some time as we’re extremely careful to maintain the reliability and consistency of the core code. When we announced our commercial product, NGINX Plus, we heard concerns from the community. This feedback has helped us refine our strategy around what goes into open source NGINX and commercial NGINX Plus. The first reason a commercial product exists is because many of our users want support. They value the security of knowing an NGINX expert is just an email away, willing and able to assist them. They also value the managed release process that comes with NGINX Plus. They might not want to build and test an NGINX binary themselves, and we’re not confident supporting a binary that someone else has built; therefore, customers who purchase a support subscription receive NGINX Plus. To increase the value of the commercial product, we add in features that make it easier to manage and monitor. A good example is the live activity monitoring data that NGINX Plus generates; another is the on‑the‑fly reconfiguration of load‑balanced groups of upstream servers. These features are particularly interesting to customers who want an easy‑to‑use solution without compiling in third‑party modules or building supporting tools. There’s no attempt to limit the open source version, and many of the features we add to NGINX Plus already have third‑party implementations that our open source users can use. We’re building out the application delivery capabilities of NGINX Plus. The session persistence and health monitoring capabilities we added are good examples of this. 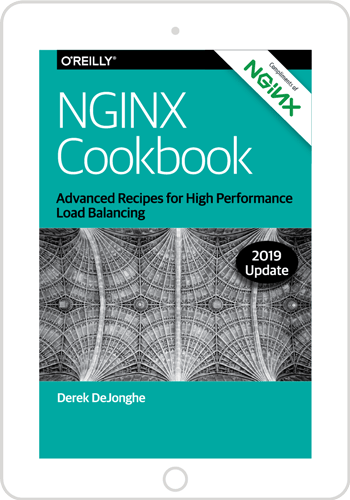 NGINX Plus is incorporating features that you wouldn’t expect to see in a web server – things that move it into the domain of load balancers or application delivery controllers. Finally, our users who subscribe to the commercial NGINX Plus product are contributing directly to the ongoing development of the open source product that is used by over 140 million websites worldwide. We missed the mark when we initially included syslog integration in NGINX Plus only. The community made it clear they felt syslog was table stakes for the open source product. That is why with the release of 1.7.1, the syslog integration has been migrated into open source NGINX. Our goal is for NGINX Plus to complement open source NGINX by providing a supported, tested version, and by serving as a load‑balancing frontend for your clusters of open source NGINX servers. Thank you for helping us find that balance. You can find more about NGINX 1.7.1 at nginx.org, and you can review the NGINX and NGINX Plus release process to get a perspective on how the open source and commercial products are related.